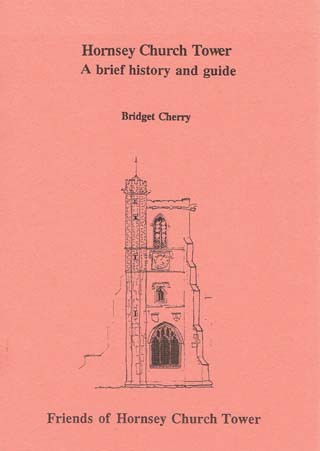 This booklet is a self guided walk around the church tower, the bell tower for the three successive parish churches and the only remaining building which has been conserved and watched over by the Friends of Hornsey Church Tower for the past 28 years. Bridget Cherry is a Vice President of Hornsey Historical Society, founder member and former Conservation Officer. She has been honorary secretary of the Friends of Hornsey Church Tower. She is an architectural historian who worked for many years as author and editor of the Pevsner Architectural Guides. She has written many articles and several books for HHS.